BRPartners Immigration Advice & Services are a boutique Immigration Law Firm based in Gravesend Kent and London Kings Cross. 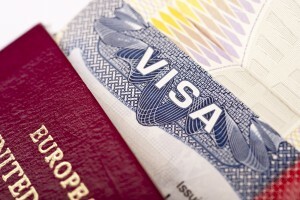 We deal with all aspects of UK Immigration Law and we are registered at the Highest Level (Level 3) with the Office of the Immigration Services Commissioner (OISC) – a Government regulating body of all the immigration advisory firms in the UK, enabling us to provide up to date advice and assistance within all areas of UK Immigration and Nationality Law. BRPartners Immigration Advice & Services have over 10 years of experience in dealing extensively with clients from a variety of backgrounds. Our clientele ranges from private individuals to corporate companies. We therefore pride ourselves in being able to offer an end to end service with a personal approach to all our clients. BRPartners Immigration Advice & Services operates a Fixed Fee policy; meaning that the client will know from the onset of the case what fees will be due. This means that there will be no hidden costs for the client. Unlike other firms who may charge an hourly rate, our fees will be fixed from the outset. The fee quoted will cover preparation of your case, all telephone conversations and email correspondence, and submission of your case to the immigration authorities. In the event that you may require urgent assistance with your Immigration case outside of our normal working hours or on a weekend/public holiday, you may still contact us by sending an email to office@brpartners.co.uk. Emails submitted should include preferred method of response in the subject line (email or telephone) comprehensive information about your case and a mobile contact number. You will then receive an automated text message confirming our account details and fees for this service. Once payment has been made our Lawyer will contact you via your preferred method. Please note email responses will include one comprehensive response and one follow on email. Our Kent office is easily accessible for clients traveling from Kent, Essex and London. We are only 20 minutes away on a mainline London Kings Cross St Pancras train. Gravesend train station, Gravesend town centre Garrick Street bus stop and Gravesham pier are all less than a 5 minute walk to our office. Pay and display car parking is also available outside our office. Our London office is based at Kings Cross Station opposite the Mcdonalds at the front of Kings Cross Station. Easily accessible by underground, bus or overground train. To discuss your immigration matter call us today on 01474 357091 during office hours 9.30am to 5.00pm or 07716 054420 at other times. You can also contact us by email at office@brpartners.co.uk. Error: Error validating access token: Session has expired on Saturday, 22-Sep-18 06:40:30 PDT. The current time is Wednesday, 24-Apr-19 22:45:19 PDT.